It’s easy to throw away the old things that we don’t need anymore but what is hard is to reuse it and to give them a new life. I sincerely hope that this post will motivate you and you will go in the yard in your free time to make some crafts. We will show you economical pallets reuse for your home, so we will be happy if you stay with us till the end. What you will learn if you check the full post? 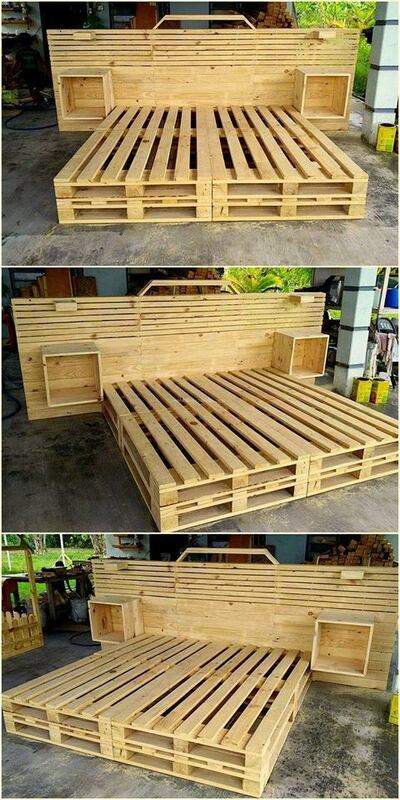 You will learn how to make a pallets bed, how to make a kitchen sink, kitchen home bar, a platform bed, a pallets wardrobe, kitchen island and kitchen shelf and much MORE! Stay there to LEARN and we are here to TEACH you! Also read about amazing backyard waterfalls and about how to design the backyard place and to create a relaxing area there. 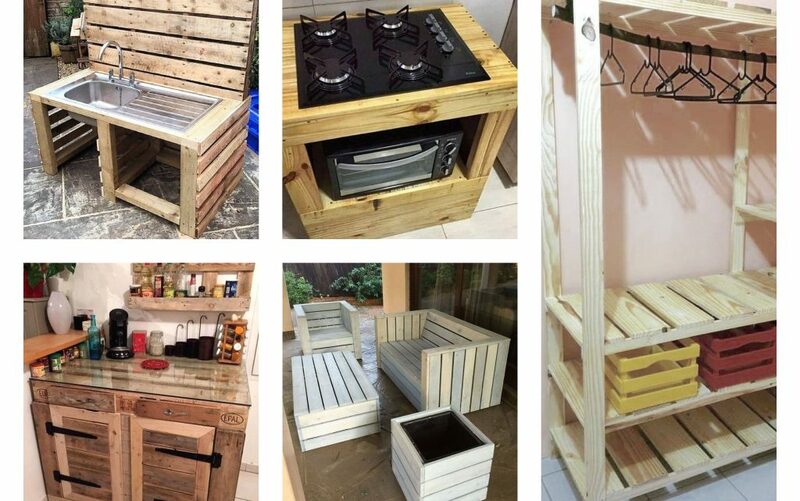 the very first idea is about how to make a kitchen cook top by reusing the old pallets. This is cool idea if you have villa where you spend the weekend, use this idea to make something good for the place. 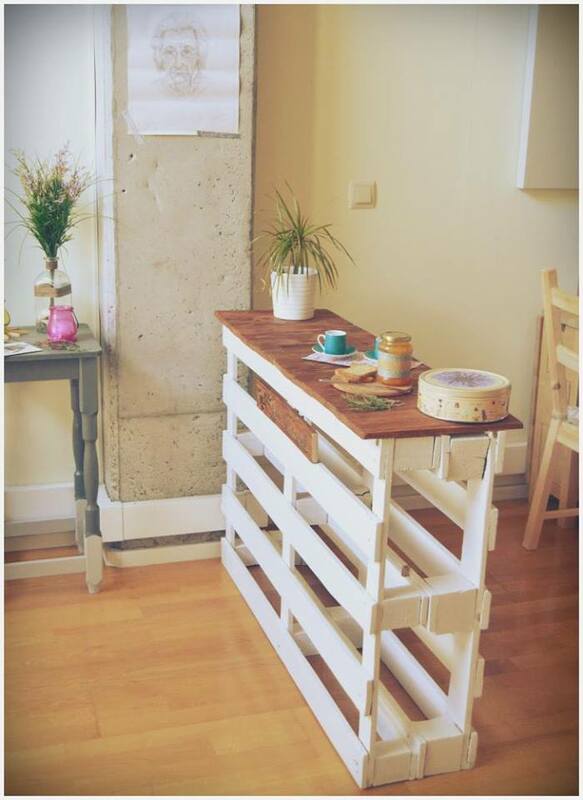 The second idea is about how to make a kitchen cabinet and wall shelf by using pallets again. 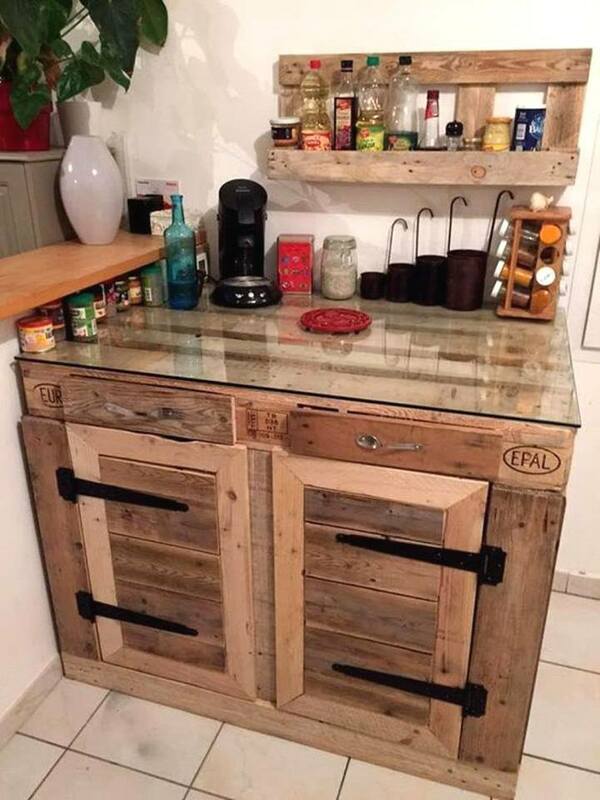 As you can see, you can make all the kitchen cabinet just by using the same material, wooden pallets. just be creative and make something useful for you. 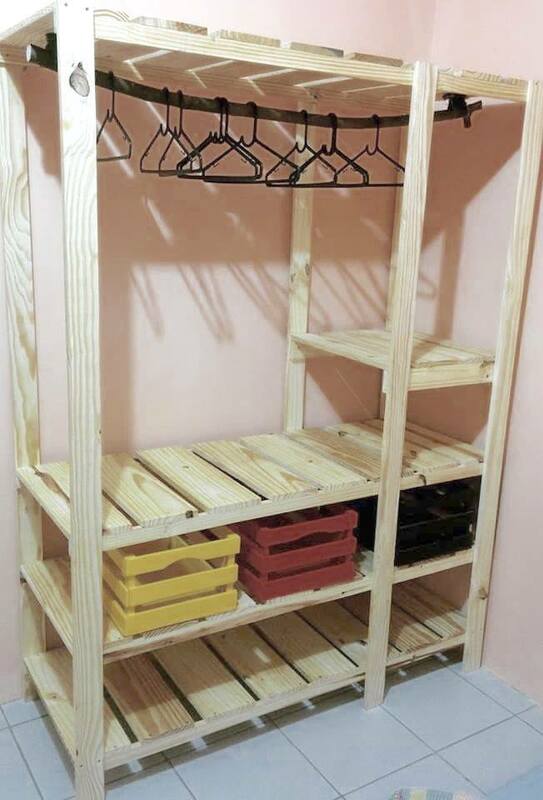 How about making a pallet wardrobe? Perfect way to make a wardrobe where you will organize all the clothes you have in home. Add it in your room and don’t be afraid about what other people will say. Just be proud with something that you have made with your effort, your idea, creativity and imagination. The best way to divide two rooms is to add a room divider and the most economical way to do this is to make a pallets room divider by yourself. Take a look in this photo and inspire yourself. Make the most amazing bed for your bedroom! Be creative, spend your free time in quality way and do something that will be your favorite piece of furniture. Tel your friends about this amazing idea and inspire them to make the same bed. 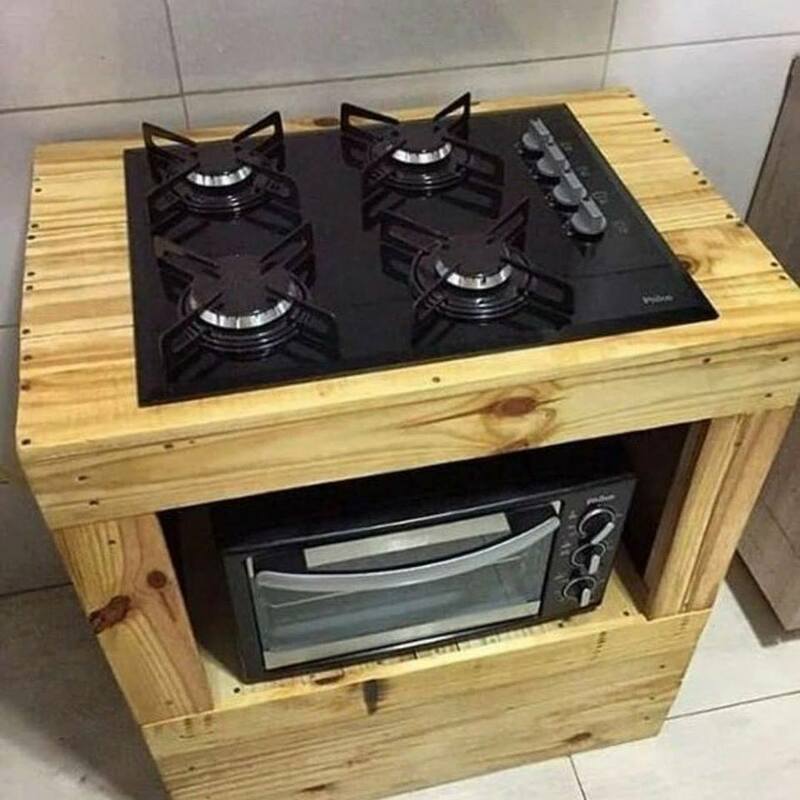 As I said before, you can make the whole kitchen cabinet by using pallets. Now, the last thing that we will show you it’s again connected with the kitchen place. 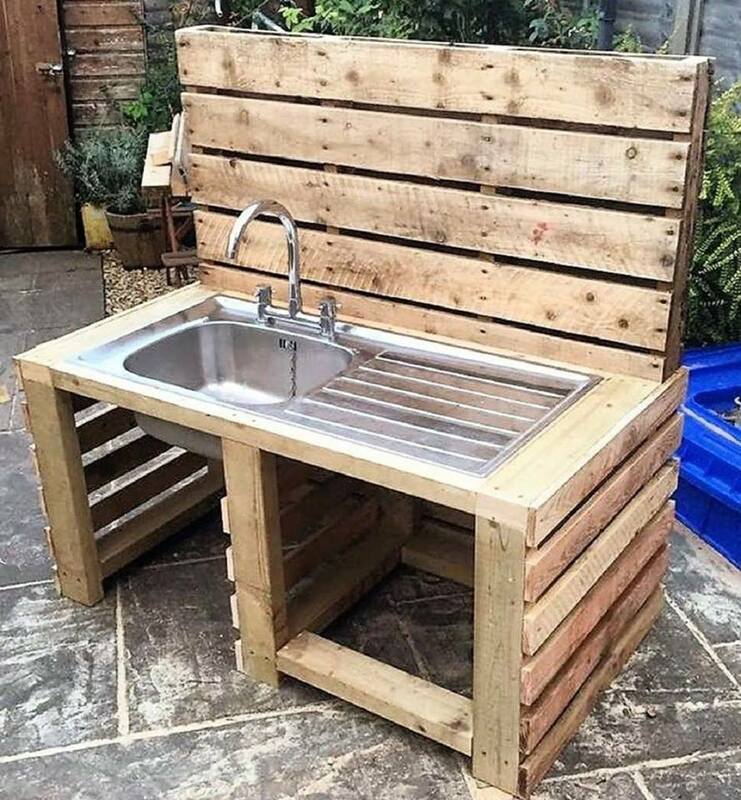 Make a kitchen sink by using pallets again and complete the pallets kitchen that will be your favourite sink. This is the last photo of this post so thank you so much for your attention!